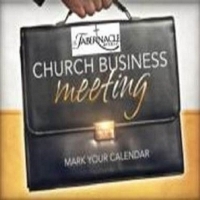 JOIN US AS THE MEMBERS OF TABERNACLE TEND TO THE MATTERS OF THE CHURCH AT HAND. Find out where we are as a church and where we are headed. Become informed on the health, wealth, behind the scene workings and well-being of the ministry.